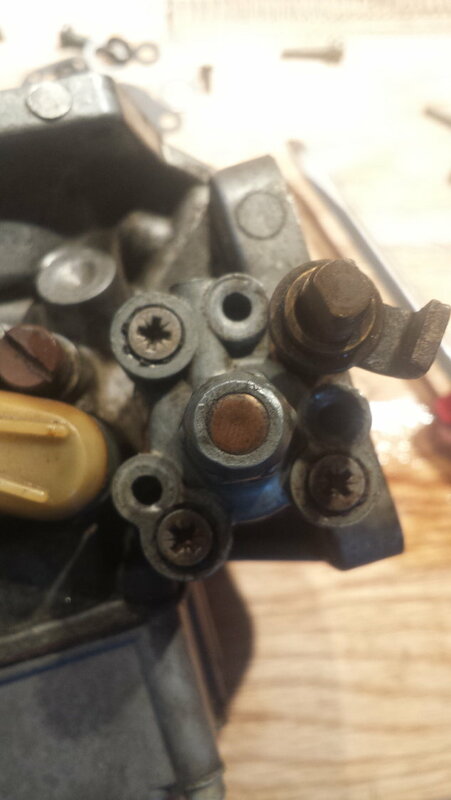 I am rebuilding my dual stromberg carburetors and noticed the seal in the throttle release valve is torn! Can't find one anywhere. Please tell me I don't have to buy a new carburetor. Help please and thank you! 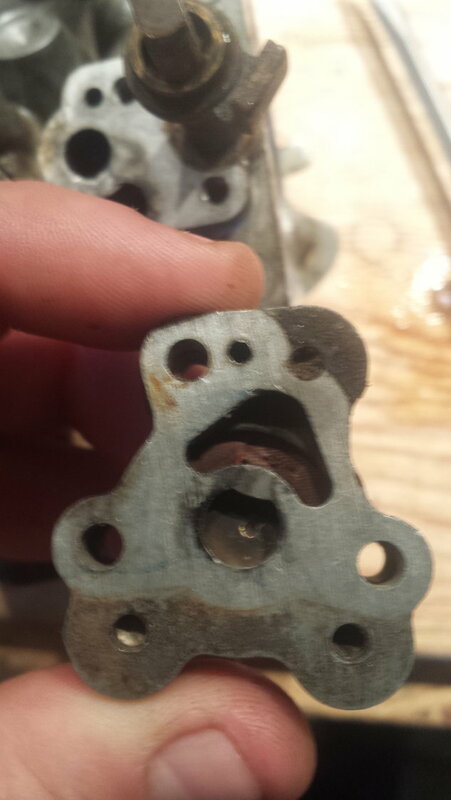 I'm not sure what part you mean by the throttle release valve. However, practically all parts, except for the actual carburetor body, are available as new parts. I have numerous Major Rebuild kits in stock; accordingly, if you can't get the required parts locally, I'll be able to help you. Post a picture of the part you require so that there is no confusion. Attached is a picture of what you get in a Major Rebuild Kit. Virtually, you get all the parts to rebuild the carburetor, including butterfly shafts, butterfly disks and the bearing/seal for the shafts. The kit shown in the picture is for a S3 E Type and has sufficient parts to rebuild the four carburetors. 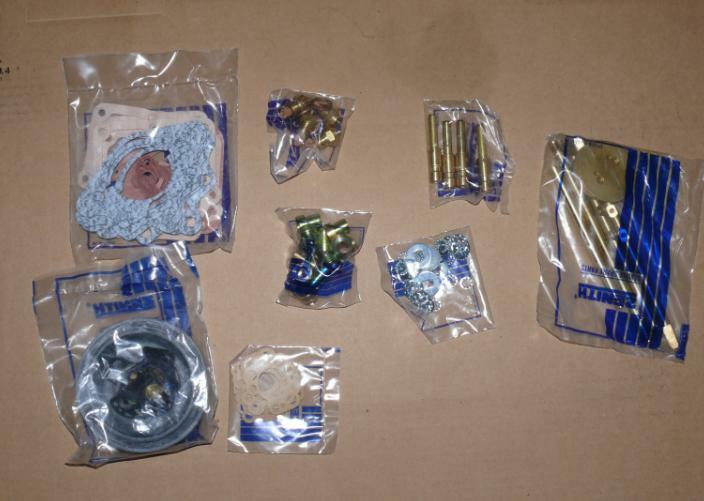 The parts shown in the picture are a bit hard to make out, being in sealed plastic bags, but the package in the lower left of the picture contains the diaphragm for the bypass valves. This is the part that you're referring to in your last Post. This diaphragm can be bought as a separate part, but unless your carburetors are in particularly good shape, I would do the full rebuild whilst the carburetors are off the car. I generally do a full rebuild on S3 E carburetors, as they are quite a job to remove. If you care to PM me your email address I can send you pictures of all the individual parts and before/after pictures of carburetors I've rebuilt. Anyone know if he still does this ???? STR Brake Boster Hose to Unduction Elbow-Causing P0171,P0174? check engine light on again! My Full 3.5" Aluminum Intake. Compared With Mina Gallery 3" Intake.